Not all buildings have the same security needs. 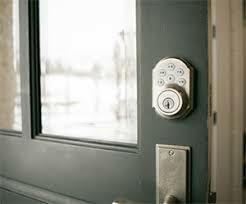 But all buildings will benefit from a suitable master key lock system in New Westminster, British Columbia. With such systems, the security of the property is increased and so is convenience. At the same time, you are able to manage your keys and control access while you can do many changes and upgrades over the years. At our company, we know that businesses grow while the security needs in residential complexes change. And so, we are available for all services. From master key lock system setup to repairs and expansion, we are the go-to locksmith team in New Westminster. Even the simplest apt building master key system is not simplistic. A design might be as plain as to enable the manager of a building to only carry one key in the pocket. But even then, it’s vital that the master key opens all doors, the locks are durable, and the individual keys of each tenant work perfectly. When it comes to more complex systems, the structure of a firm and the access levels often define the design of the office master key system. Whether you are in need of a complicated or plain master system, Locksmith New Westminster can be trusted for the installation service. No matter how complex the design might be, we send out techs equipped with the right tools and experienced to complete the job with attention to every little detail. And that’s not all we can do for you. We are also here if you want upgrades. Expanding the master system is often a great solution when the security & access requirements change. Call us. Nothing stays the same, especially when it comes to businesses. And neither will your master lock system. If it’s expandable, we can help. 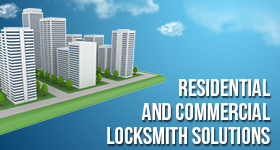 If you want to set up a new system from the start, our locksmith company will be at your service. Should you ever lose one of the master keys or need a lock rekeyed, we’ll be here and ready to send out help. Always reach out to us when it comes to New Westminster master key lock system services. Our experience will make a difference to your convenience and security. Call us.